The distillation unit is built-1 for primary distillation capacity of 6 million tons per year. Its commissioning is scheduled for the end of 2014, will increase the plant's capacity to 12 million tons of oil a year. Launched a new installation of diesel hydrotreating capacity of 3 million tons per year. Since its launch the company switched to the production of diesel fuel in the Euro-5 standard. In addition to the manufacture of diesel fuel plant has the capacity to hydrotreating to 200,000 tonnes a year of coking gasoline, which helps increase production of high octane gasoline. 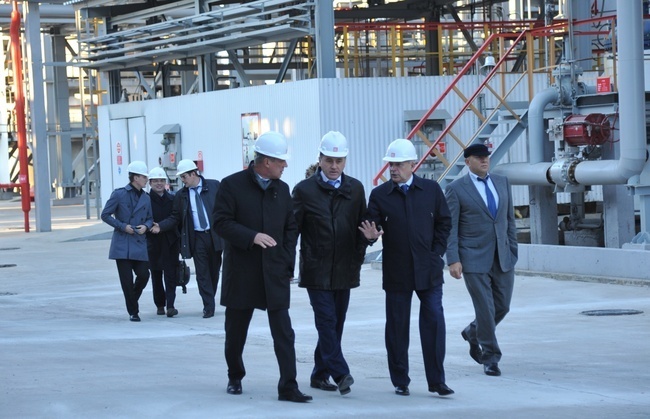 The refinery "LUKOIL-Volgograd" also planned to build a hydrocracking capacity of 3.5 million tons per year. The company "LUKOIL" has already decided to invest this project. With the commissioning of this plant plant goes into the category of super-modern, oil refining depth will reach 98%. Furthermore, the company built a new complex for the packing and lubricants. The complex will be focused on the market of southern Russia and Central Asia. It is the second company where logistics and manufacturing combined.